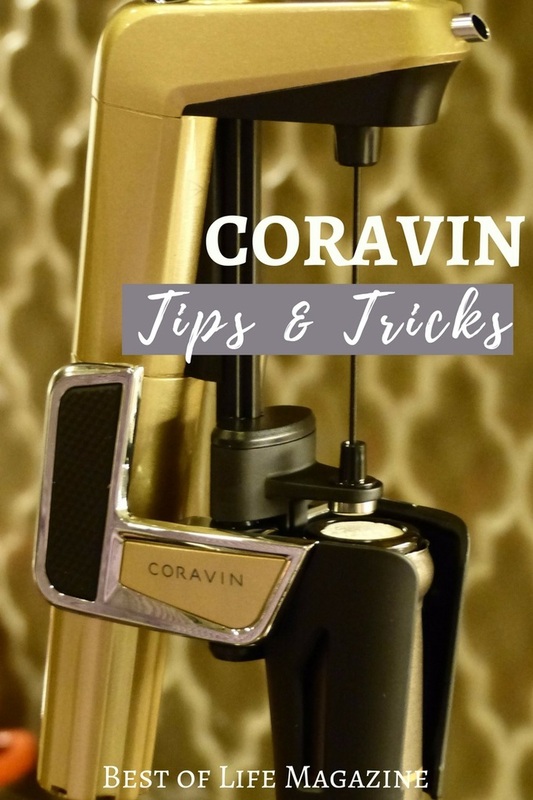 By design, the Coravin wine system is already a great wine tips and tricks device. The purpose of a Coravin is to help you preserve a bottle of wine, even after you’ve poured your first glass. How it works is simple – slide the system onto a bottle and press a trigger. 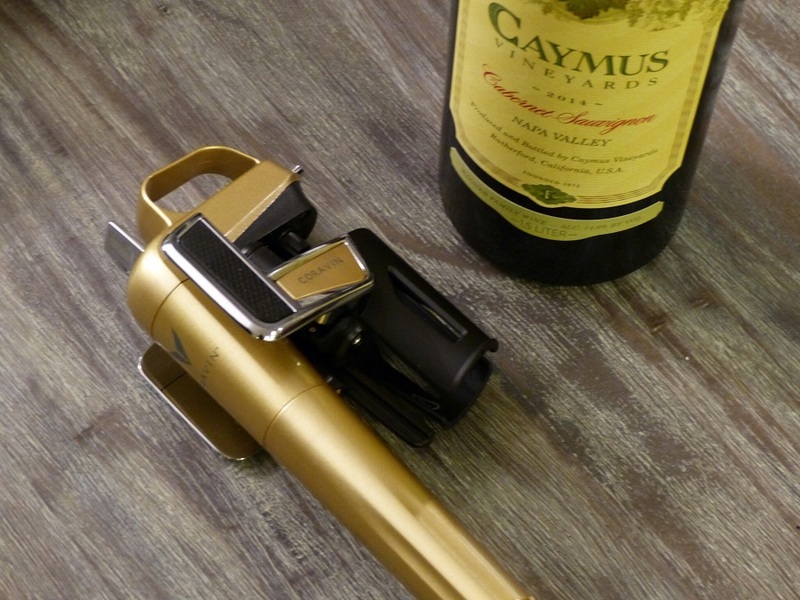 While the system itself is a wine hack to help you keep your wine, there are a few Coravin tips and tricks that can elevate your wine drinking experience with Coravin to a new level. 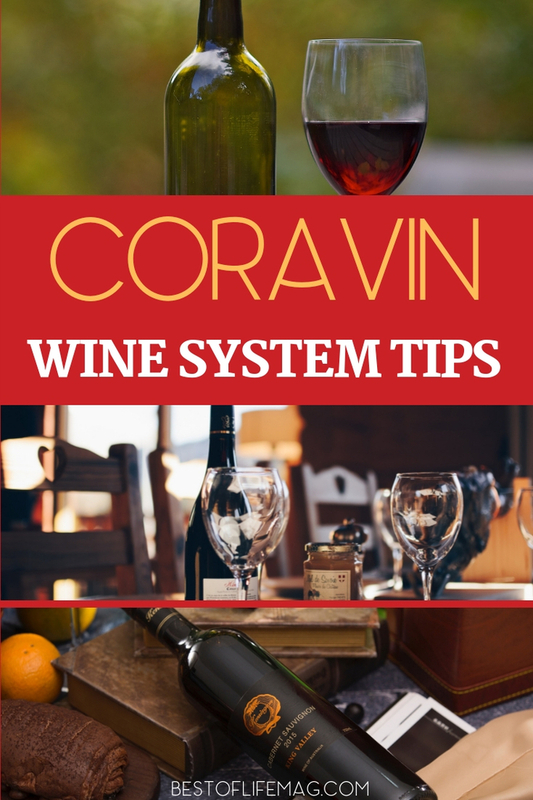 Coravin tips and tricks will help you utilize the wine system in ways that make the entire wine drinking experience an even more enjoyable one. The Coravin wine system comes with little gas capsules and needles that are necessary for the system to work properly. The capsules are replaceable, and so are the needles. However, using Coravin tips and tricks, you can get even more out of both the capsules and the needles. You may even find a few ways to make the wine system work better than they intended in the first place. Always remember, you get what you put in with the Coravin wine system. What this means is, there’s no need to press and hold the trigger until you get the amount of wine you need. Instead, use short bursts of presses on the trigger during wine drinking. This will take a little longer to get the wine you want, but at least you won’t waste gas from the capsule. 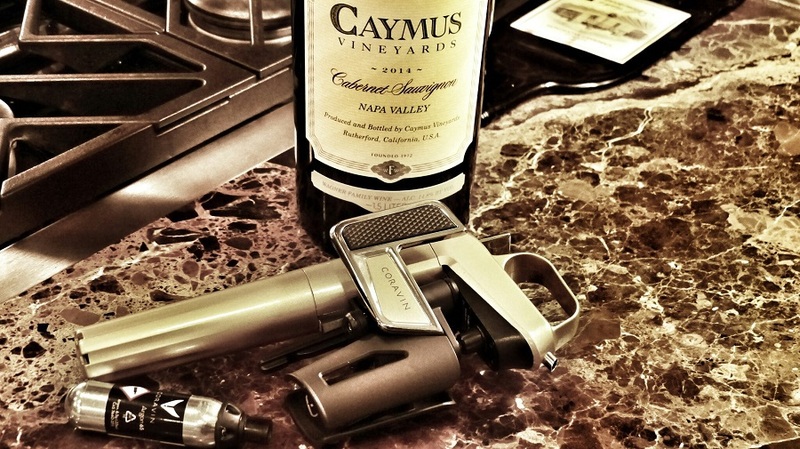 Keep an eye on the amount of wine in the bottle before pressing the trigger. A good rule of thumb is if the bottle is half empty or more, you don’t need as much gas. With a half-full bottle that means the gas is the other half of the contents in the bottle. To purge the needle of excess wine, you’ll need to press the trigger. The problem is, when you push the trigger, you’re using gas from the capsule. Don’t waste gas or worry about completely clearing the needle. Just push the trigger for less than half a second, and you’ll be fine. The Coravin wine system is meant to help preserve a bottle of wine when you don’t intend on finishing the entire bottle and helps extend all that one savors in their wine drinking experience. However, if the bottle is almost empty, you can save gas by not using the system at all. When the bottle is almost empty, and you’re still enjoying the wine, pull the system off and uncork the bottle as normal. 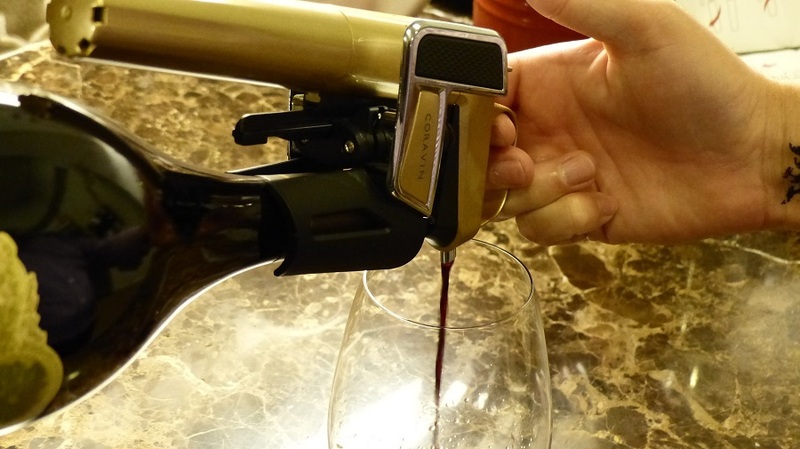 When using the Coravin wine system, you’ll notice that the wine will come from a little spout. During your first pour, tilt the bottle a little over horizontally and touch the spout to the inside side of the wine glass. Once in position, press the trigger once and for a short period, less than a second. When the flow of the wine starts to weaken push the trigger again. Keep pressing the trigger like this until you have your desired amount. When finished, just lower the bottle, and you’re set. The Coravin wine system is a perfect touch of luxury for those who love drinking wine and enjoying finer wines. We use ours to enjoy a glass of an expensive Cabernet before opening a less expensive “everyday wine”. It allows us to enjoy those wines slowly, yet more often because we can afford to buy an expensive bottle knowing it will last weeks or months if we really show restraint. Simply sophisticated I must say. Thanks Amy for sharing this.